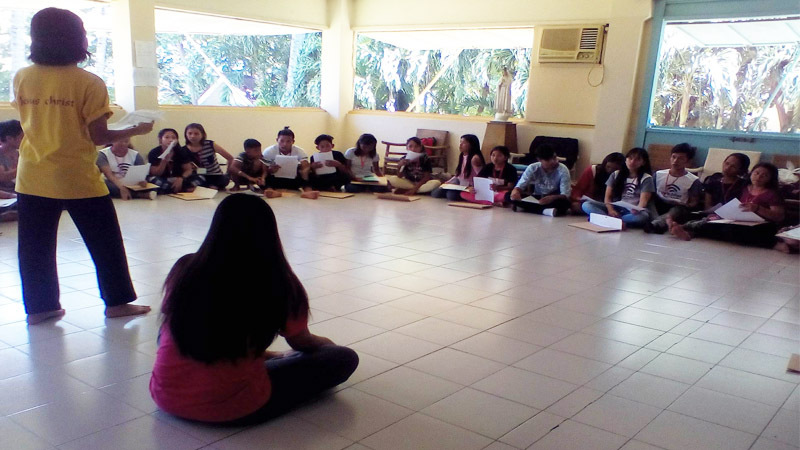 Over 30 young people from different Christian denominations and civil society groups gathered in Liloan, Cebu, to touch base with their creative selves on April 3-7. 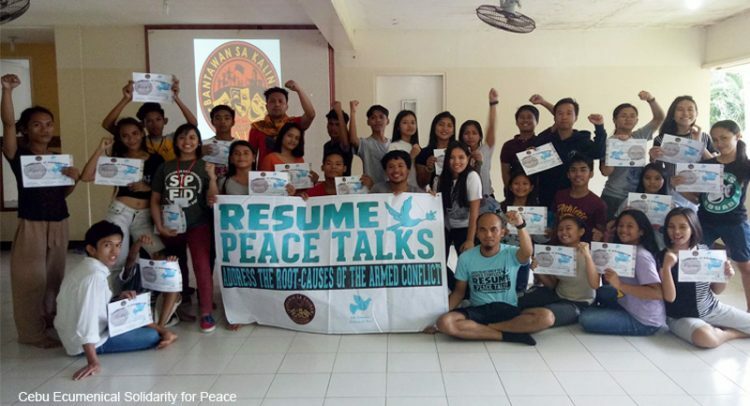 “Young people have a significant role in building a just and lasting peace in our country,” said Hannah Grace Santillan, one of the facilitators, at the sidelines of the activity, held in a Jesuit retreat house. “We are here to enhance the gifts and talents the participants already possessed so they could further promote peace through the creative arts,” she explained. Santillan was representing the National Council of Churches in the Philippines’ Teatro Ekyumenikal (TE). The activity was organized by Cebu Ecumenical Solidarity for Peace (CESP). Founded in 2014, it is a network of Cebu-based faith denominations and advocates coming from the West Visayas Jurisdictional Area of the United Church of Christ in the Philippines (UCCP), the Diocese of Cebu of the Iglesia Filipina Independiente (IFI) and the Roman Catholic Archdiocese of Cebu. The delegates came from various civil-society and faith-based groups: Aninaw Productions, Bonbon Youth Association, Calajoan Women’s Association, IFI, Kadamay Cebu, Piston, Student Catholic Action in the Philippines, University of San Jose-Recoletos and UCCP. Joining Santillan to help a total of 32 individuals express themselves artistically were Ernest Besana and Aleph Fajardo. All three were themselves trained by TE, a ministry supported by the Program Unit on Christian Unity and Ecumenical Relations (CUER). CUER now guides Bantawan sa Kalinaw in crafting its constitution and by-laws.